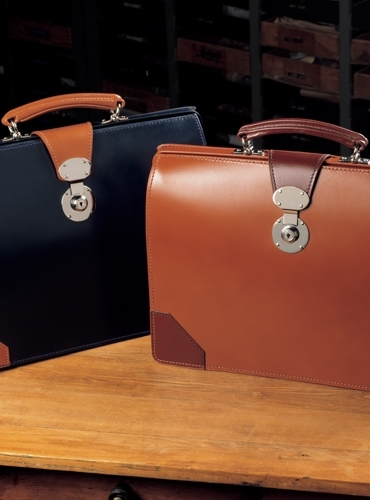 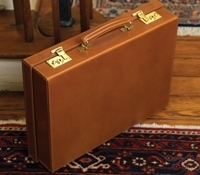 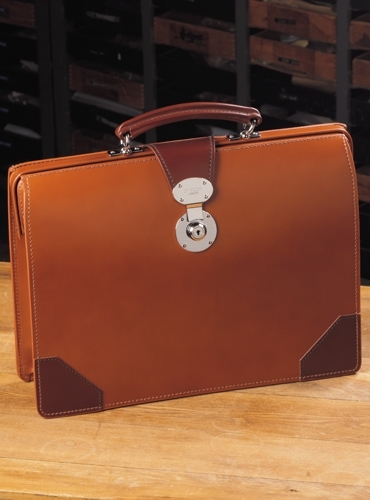 Enjoy these updated contemporary renditions of a classic lawyers’ top frame document case with multiple pockets well suited to a lawyer’s briefs, brass fittings with shiny nickel finish, including a prominent lock and handsome handle. 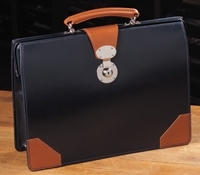 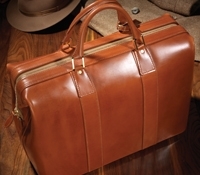 Each top frame case is smaller and lighter in weight than the traditional top frame document case, with a convenient zippered interior pocket, and room for a laptop computer. 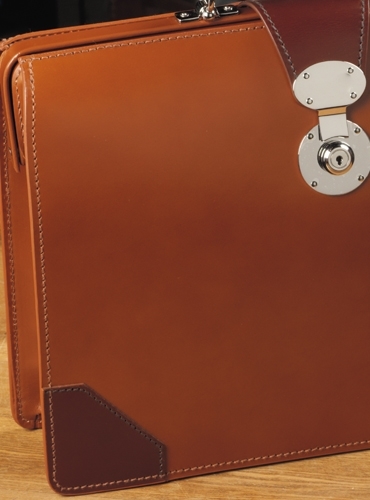 Dimensions: 15.1/2" x 4.3/4" and 11.3/4" deep at opening. 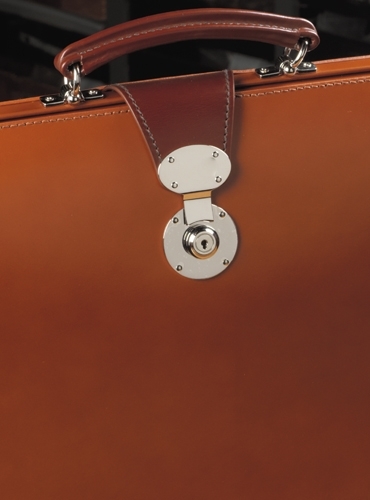 Shown here in hazel bridle leather with chestnut trim, but also available in navy bridle leather with hazel trim (SMDC-B).